At some point in the build process, you will want to keep the guitar body elevated in order to reduce the chances of scratches and dents. 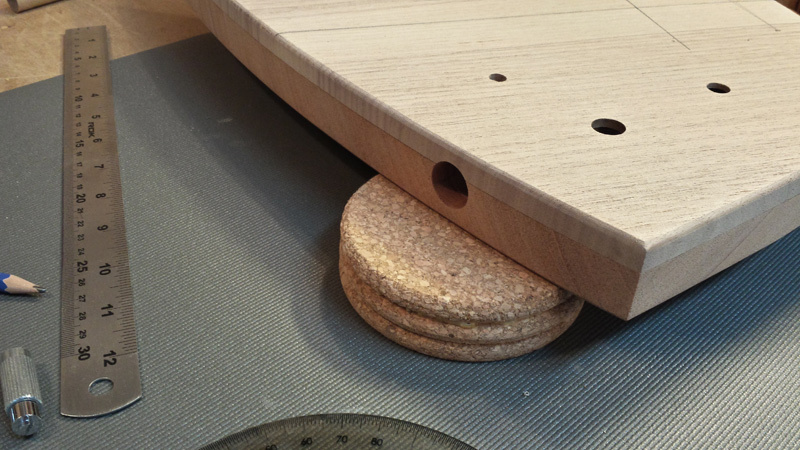 I got the idea of making these coaster sandwiches after seeing those Rockler bench cookies. These coaster sandwiches are sturdy, soft, inexpensive and easy to make. I bought 12 cork coasters and glued them 3 high. They don’t have the rubbery material like the commercial versions do but they work great nonetheless to keep the body off the table. Total cost: $3.75 cnd.